Are you ready to move to Costa Rica? If you have been contemplating the move but are unsure how to do it, now is the time! Charles Boyd has helped hundreds of ex-pats relocate successfully to Costa Rica. He can help you with the ins and outs of moving here, investing and doing business in Costa Rica. With the debacle of these elections why not get ahead of the game and check out your options. Retire in class with a peaceful and happy life. Many retirees find they can easily afford to have a higher standard of living with their pension or retirement fund in Costa Rica then they would in the United States. Charles is known as Costa Rica Charlie because he has lived and done business here for over 20 years. He can give you the real information about how easy it actually is to live in Costa Rica full time. The hard part is going to be deciding how close to the beach you want to live. Mountainous regions abound, even close to the shoreline. Did you know that Costa Rica has a government run universal health care system that really works. When you become a resident, you can get all of your medical care and medication paid for. With top notch doctors, many of whom trained in the United States, and then came back to practice in Costa Rica. All of the doctors here take the time to get to know their patients. Being able to call your doctor on the phone or email them and get a personal response in less than a day is common practice. When was the last time you experienced that with your HMO? The World Health Organization also considers Costa Rica one of the top countries in the world for long life expectancy. Charles Boyd can help you get settled into the life of your dreams. Get in touch with him today. Charles Boyd is co-founder of The Costa Rica Team and has very strong ties to the Costa Rican community and a desire to serve the youth of Costa Rica. Charles founded the non-profit organization, Support Jaco Youth. 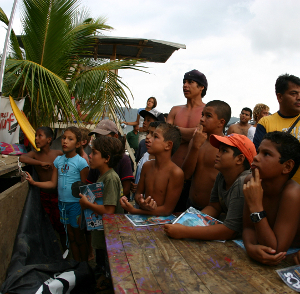 Support Jaco Youth promotes positive growth for kids in Jaco, Costa Rica. Visit The Costa Rica Team.